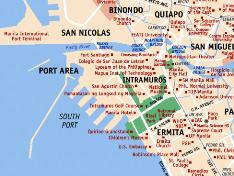 Intramuros was the fort city of the Philippines. Intramuros the fort city that protected almost all! Intramuros or the walled city of Manila, is located on the southern side of the Pasig River close to the rivers entrance into Manila Bay. 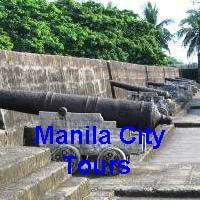 The construction of Intramuros started in 1571 by Miguel Lopez de Legaspi, a Spaniard. The walled city covers an area of about 160 acres. Intramuros was a fortress city with walls 6 metres high and a commanding 3 kilometres in length, it is no wonder it was impenetrable. Only the Spanish elite and Mestizos (mixed race) were permitted to live inside Intramuros, where at night the city gates were locked down. The natives and Chinese were not permitted to live inside the walled fortress and were resigned to live outside the great walls of Intramuros. Intramuros was designed with 51 blocks within the vast walls, the only access in or out of Intramuros was via seven fortified gates. A moat around the walled city was added in 1603. Spread throughout the 51 blocks of the city were 12 churches, hospitals, domestic accommodation, military barracks, Governors Palace and schools. Intramuros came under attack on many occasion. The Chinese, Dutch, Portuguese and the Sulu pirates all had a go and trying to take Intramuros by force, however they were never successful. Intramuros served as the center of political, military and religious power of the Spaniards during the time that the Philippines were a colony of Spain. During World War II, Intramuros was used by the Japanese as their garrison and prison. It was severely damaged, along with most parts of Manila, during the Allied bombings to liberate the city from Japanese occupation. The US Administration filled the moat in to prevent the onset of disease. Today a golf course takes the place of where the most once stood. At present, Intramuros is the only district of Manila where old Spanish-era influences were retained. Much of the development of present-day Manila occurred outside the gates of Intramuros, leaving the old walls, streets and churches of Intramuros minimally touched by modernization, although a Starbucks and a McDonald's now sit alongside distinguished educational institutions within its walls. The old moats that surrounded Intramuros have been transformed into a golf course where locals and foreign nationals play the sport. The garrison that was Fort Santiago is now a tourist spot where visitors can see how Manila was like during the Spanish Era. The old cobblestone streets of Intramuros are now sites for cafes that cater to a variety of clientele and cultural presentations that feature native Filipino heritage. Through the WOW Philippines campaign, of then Tourism Secretary Richard Gordon, Intramuros had been spruced up, making it one of the most-visited tourist attractions in Metro Manila. New attractions have been opened, the Clamshell 1 and 2 was built to host numerous trade fairs that showcase indigenous products from the different provinces of the country. The Light and Sound Museum depicts the colonial rule of the Spaniards in the Philippines and the Filipino struggle to gain independence from the foreign invaders. An added feature in Intramuros, is the installment of lamp posts which seem to date back in the late 1800's. For added security, security guards dressed as a guardia civil had been scattered around the area. 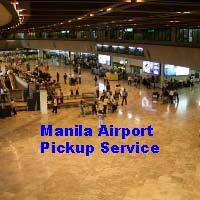 How do I get to Intramuros?